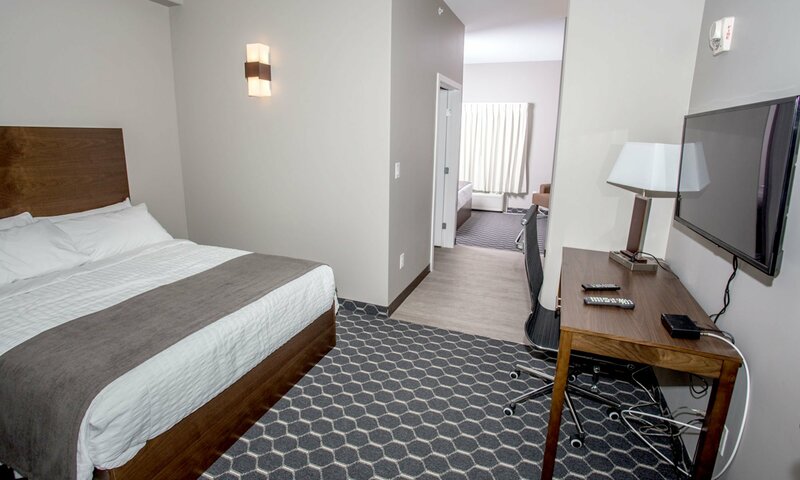 The Souris Hotel has 18 well appointed and unique 2 queen bedded rooms with a focus on privacy. 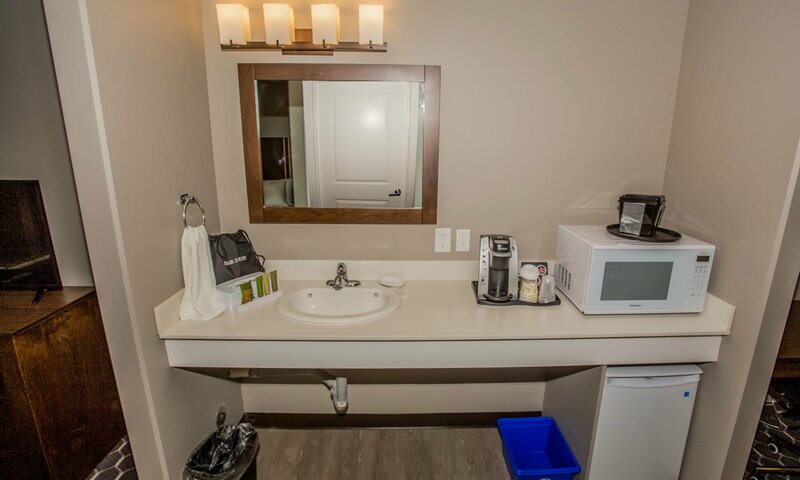 These rooms have a privacy washroom between the beds and have two 39" Flat screen TV 's. The rooms are 415 square feet with 10-foot ceilings, individual heat/air conditioning, neutral colors and European windows with room darkening drapes. They also have a writing table and chair and come with a refrigerator, microwave, and Keurig Coffee makers.